Pond Supplies, Pond Liner & Water Garden Supplies - OASE Fountain Extension- 1/2"
Water a little deep for typical pumps with fountainheads? 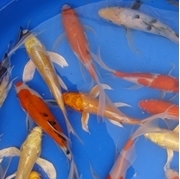 Extend your fountainhead 8" to 14" to create a beautiful fountain in your water garden or backyard pond. 8" a little too long for your requirements? 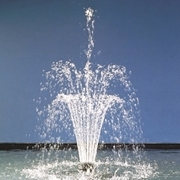 The OASE Fountain Extension can be cut to your desired height.